The HKMA granted 3 virtual banking licences to Livi VB, SC Digital Solutions and ZhongAn Virtual Finance for them to operate in the form of virtual banks on 27th March 2019. These three are among 33 financial services providers that applied for the virtual banking license from the HKMA. Livi VB, co-owned by Bank of China (Hong Kong), JD Digits and Jardines, SC Digital Solutions, a joint venture between Standard Chartered, HKT, PCCW and Ctrip, and Zhong An Virtual Finance, a joint venture between ZhongAn Online and Sinolink will be the operators. The city now has 155 licensed banks. Hong Kong-based startup, Airwallex, becomes world's newest "unicorn"
Hong Kong-based Airwallex has raised US$100 million in fresh funding, valuing it at over US$1 billion and propelling it into the tech unicorn club. 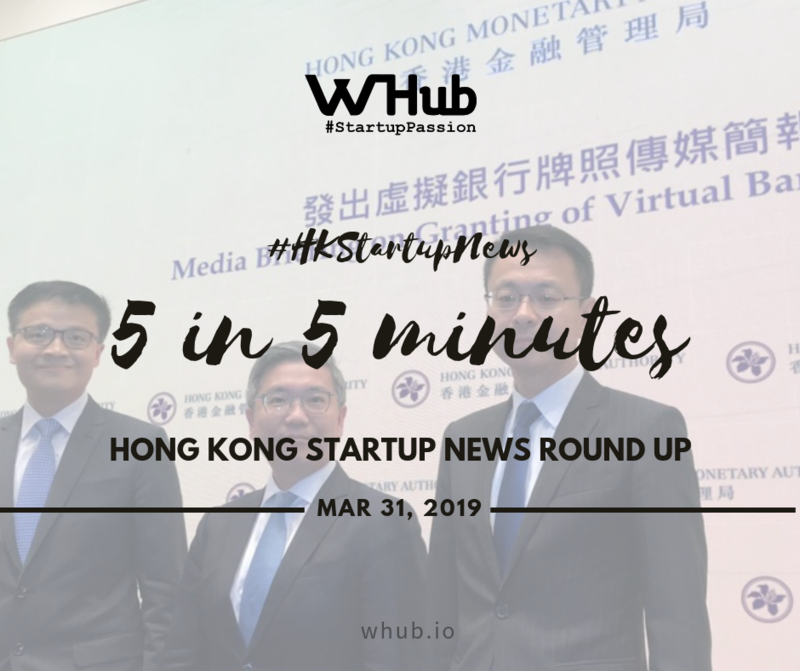 DST Global led the series C round, with participation from several of Airwallex’s existing investors including Gobi Partners, Hillhouse Capital, Horizons Ventures, Sequoia China, Square Peg Capital, and Tencent. Airwallex helps banks and businesses to perform cross-border transfers at low cost and high speed relative to traditional options. In a statement, it indicated that the funds will be used for market expansion and product development “with an emphasis on delivering further value to marketplaces, online sellers, and small and medium-sized enterprises. Qupital, a fintech startup that bills itself as Hong Kong’s largest trade financing platform for SMEs, has closed a $15 million Series A led by CreditEase FinTech Investment Fund (CEFIF), with participation from returning investors Alibaba Hong Kong Entrepreneurs Fund and MindWorks Ventures, both participants in its seed round. They will use its latest funding to expand its supply chain financing products, launch in mainland Chinese cities and hire more people for its tech development and risk management teams. ZipX, a local logistics company has acquired the Hong Kong-based ecommerce startup Trusu, that allows you to order the products you love and miss from abroad. Full financial details were not disclosed, though Trusu confirmed that the deal includes cash and equity in Zipx. The resources of ZipX and its parent company will allow Trusu to expand globally. Trusu will rebrand as ZipX in most of the markets where ZipX is present, with a few exceptions due to local licensing. The startup’s co-founders Osman Mendoza and James Steinberg will stay on as directors with ZipX. CoverGo wins at the Financial Innovation Business Conference. Congratulations to the CoverGo team for winning the Grand Prize at the Financial Innovation Business Conference (FIBC) 2019 in Tokyo. Financial Innovation Business Conference (FIBC) is the longest established FinTech Conference focused on pitch contests in Japan. Congratulations to HK-based startups 3DNA, Mobijuce and PAKT for being selected for the Startup-O ‘Fasttrack’ program from the 200 applicants across 21 countries. They are selected to participate in the assessment program where global experts evaluate these promising startups with interactions. At the end of the program, some top-ranked ventures will access capital to become part of their investment portfolio.